Bag a bargain in Bournville as a car boot sale comes to Rowheath Pavilion. 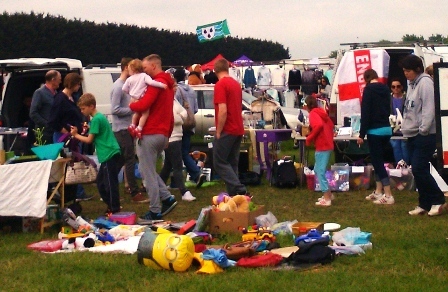 Bargains galore can be found at a car boot sale. The event will also include a Farmers Market selling an array of locally sourced cheeses, breads and other food delights on Saturday July 16. Bargain-hunters will be able to browse the car boot from 10am to 3pm. Rowheath Pavilion, in Heath Road, in the leafy Birmingham suburb of Bournville, is well known for hosting community events. It is operated on a not for profit basis and includes a cafe, toilets and a playground. Car booters wanting to sell their goods are encouraged to get there early for a space, which costs £8. It is just one of many car boots in the Midlands taking place throughout July. Read about more car boot sales.